Thermoplastic Material applied to a Tarmac Surface and a Concrete Surface (tack coat applied first to the concrete surface). 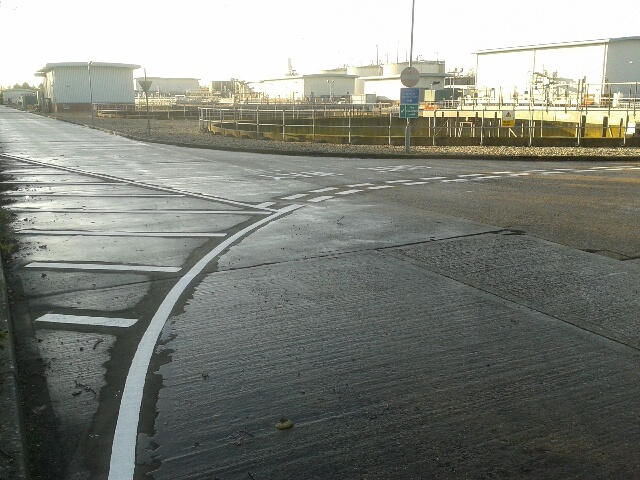 An initial site visit was made to discuss client’s requirements for road markings in and around the site location. 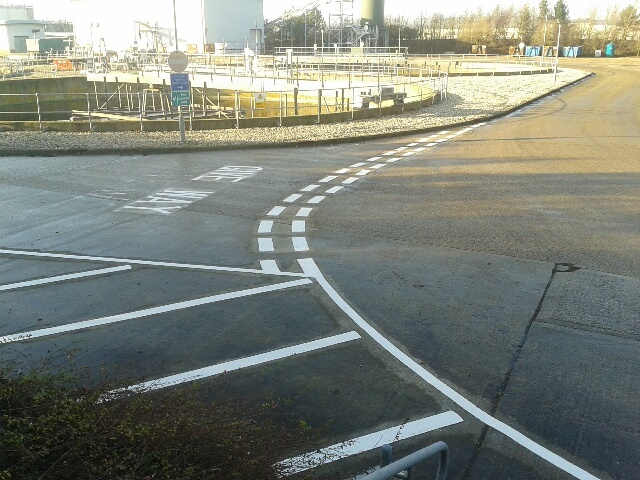 Give Way Markings, lettering etc were refreshed to ensure high visibility of relevant road markings. Method Statement and Risk Assessments were presented on site before work commenced.